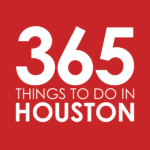 In our series of Must Do Things Around Greater Houston, we take a look at Houston’s vast array of neighborhoods and communities to bring you five fun, tasty, and enticing reasons you should give each a visit. Originally published in 2016, we are now refreshing, updating, and adding to this series, including new neighborhoods and destinations. A hidden gem located just south of where the Houston Ship Channel meets Galveston Bay, La Porte boasts plenty of small-town charm. It’s also rich in history, as it plays home to the grounds of the Battle of San Jacinto, the battle which ended the Texas Revolution in 1836 (more on that later). In the 1920s and ‘30s, the Sylvan Beach Amusement Park was a popular tourist destination, with beauty contests and performances from the era’s well-known musicians. Today, it maintains a sleepy, escape-from-the-city feel, despite drawing in visitors year-round. Here are just five unique experiences in this small Bay Area town. Take a stroll along historic Main – Enjoy a day or night on the town on this quaint street, which offers a mix of eclectic, charming shops and restaurants. Get unique finds in stores like Shop Therapy and Vicki’s Antiques on Main; then hit the breakfast buffet at Main Street Cafe, pop in for fajitas and margs at El Toro, or dine on bistro steaks and crab cakes at Main 101. And be sure to look out for fun events, including Main Street Trade Days (the first Saturday of every month) and Mardi Gras on Main. Click here for directions. Go fishing and play in the sand at Sylvan Beach Park – The only beach in Harris County, Sylvan Beach offers refreshing breezes, picturesque views of the bay, a pristine, white sand beachfront, and a 31.4-acre park. Hit the boat launch, bring a picnic lunch, let the kids loose on the playground and skate park, or spend a quiet, relaxing day fishing at the 1,234-foot pay-to-fish pier. Click here for directions. Discover Texas history at the San Jacinto Monument and Museum – Soaring 570 feet into the air and topped with a 34-foot, 220-ton star, the San Jacinto Monument is the tallest stone column memorial structure in the world. While it’s certainly a sight to be seen, even cooler is the history. The monument commemorates the decisive battle of the Texas Revolution, the Battle of San Jacinto. Delve deeper into more than 400 years of early Texas history at the San Jacinto Museum of History, located at the base of the monument. Admission to the monument and museum is always free, with special attractions including the Texas Forever! Interactive Experience, Observation Floor, and A Destined Conflict Exhibition available for purchase. The museum is open daily from 9am to 6pm. Click here for directions. Enjoy a seafood feast on the waterfront at Monument Inn – In business since 1974 (reviving itself after both hurricane and fire damage), this waterfront restaurant serves about 80,000 pounds of shrimp and 25,000 pounds of catfish, crawfish, and fresh catches every year. Start with peel-and-eat shrimp, Gulf oysters, and crawfish bisque before diving into catfish, salmon and redfish, blackened, grilled or broiled and smothered with sauces like “Orleans” crawfish etouffee and the “Monumental,” a decadent sauce of shrimp, oysters, and crawfish in a creamy beurre blanc. For those that want a taste of everything, the Fisherman’s Platter comes packed with fried shrimp, oysters and catfish, stuffed shrimp and stuffed crab; and the hefty All-You-Can-Eat option offers cold boiled shrimp, oysters on-the-half-shell, fried catfish, shrimp, oysters, stuffed crab, french fries, dinner rolls, and cinnamon rolls for $39. There are plenty of non-seafood options including steak, pasta, chicken, and a children’s menu as well. Click here for directions. Experience the legendary Battleship Texas – Commissioned by the U.S. Navy in 1914, Battleship Texas is the last remaining U.S. battleship active in both World War I and World War II. As the ship was continually outfitted with cutting edge technology (including advances in gunnery, aviation, and radar), it was considered the most powerful weapon in the world. Today, Battleship Texas is docked in the San Jacinto Battleground, a floating museum standing as a memorial to the bravery and sacrifice of the American troops and servicemen from both world wars. There are no fees to enter the grounds, but those who want to enter the battleship can take self-guided tours ($12), climbing 60 feet above the water to the Flag Bridge or 20 feet below the water into the engine room. Hard hat guided tours are also available. The battleship is open daily from 10am to 5pm. Click here for directions.